Captain Jessica Hines (second from right) answers student questions during the Aggie Aviation Career Conference. Hines, a 2006 USU graduate, is a pilot and recruiter with Envoy Air, Inc.
On Thursday, March 30, Utah State University’s aviation technology program hosted an Aggie Aviation Career Conference in the Taggart Student Center to introduce participants to career opportunities in flying and maintaining aircraft. 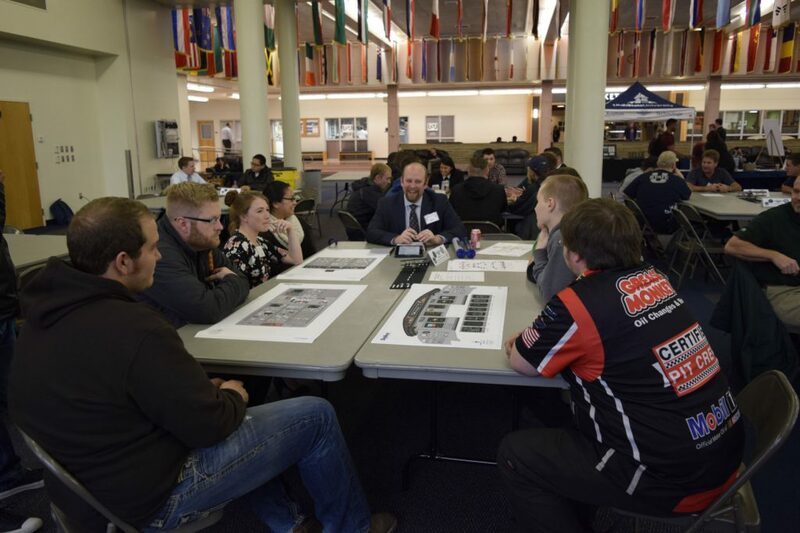 Professor Baron Andreas Wesemann said the event was more than a typical job fair. Wesemann was pleased with how many of the corporate representatives who attended the conference were USU aviation technology graduates. He said bringing alumni back to the university gives students an opportunity to connect in a very important way. Kolby Widmier, one of the aviation technology program’s certified flight instructors, helped coordinate the conference. 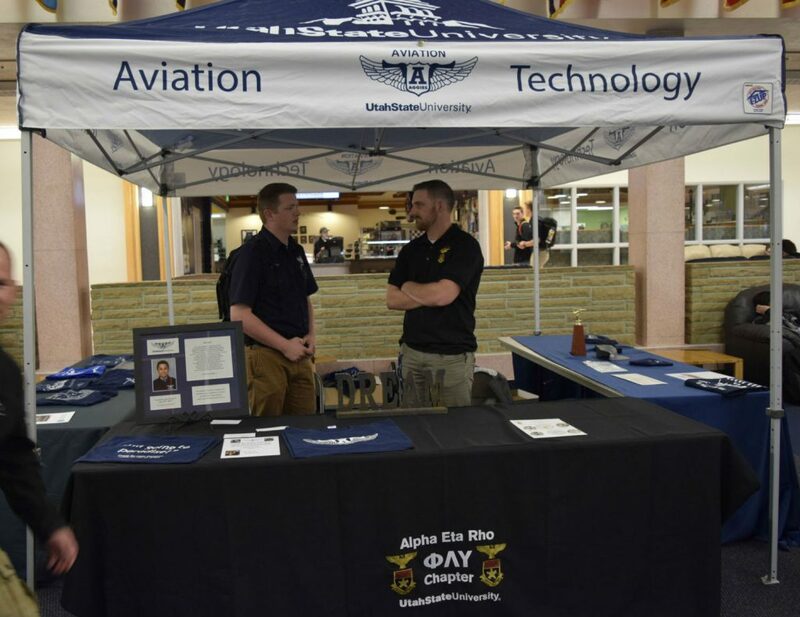 Widmier is also part of the USU flight team and currently serves as vice president of the university’s chapter of Alpha Eta Rho, an international college aviation fraternity. 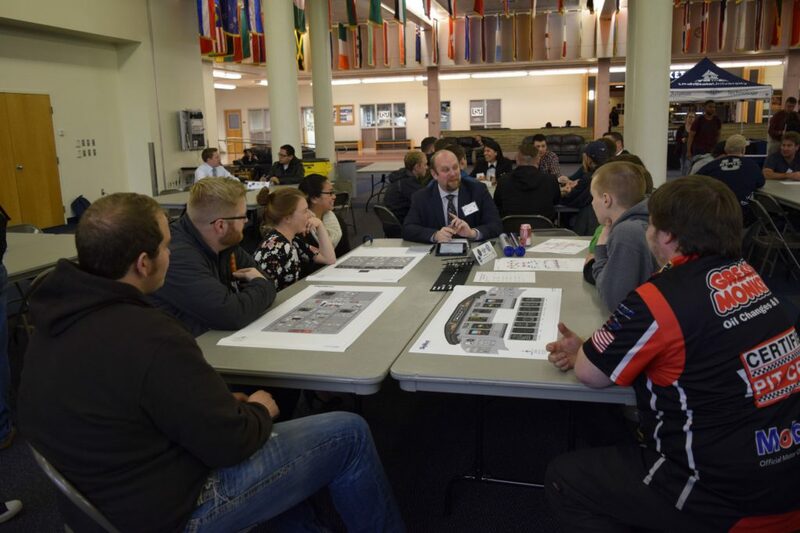 He appreciated how the event allowed students to interact with aviation professionals on a personal level. Captain Jessica Hines is a 2006 USU Aviation Technology graduate who attended the conference representing <a href=”https://www.envoyair.com/”>Envoy Air, Inc.</a>, one of the event’s sponsors. 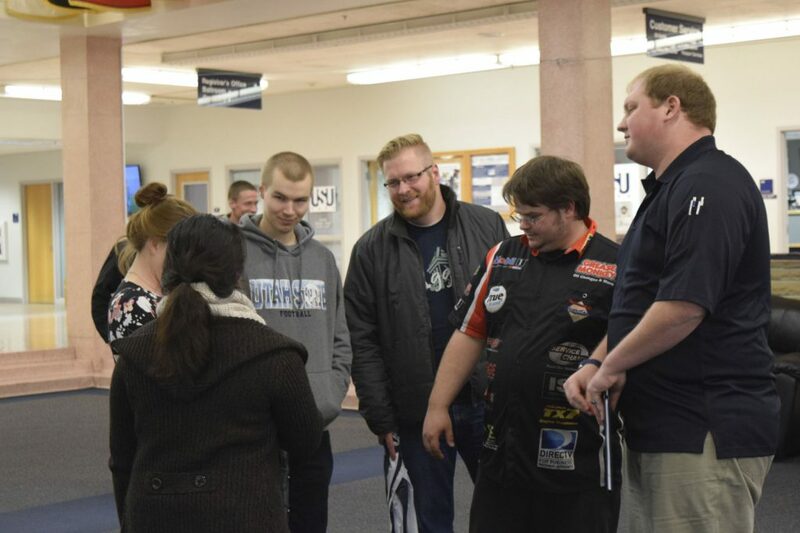 Hines, who pilot’s Envoy’s Embraer 145 aircraft, visits USU at least twice per semester as a full-time recruiter. Some suggestions Hines offers to aspiring pilots include getting good grades, having a clean driving record and staying out of trouble with the law. She also advises students to pay close attention to what they post on social media. Adding to Hines’ advice, Widmier said the most important advice he can give students involves professionalism. 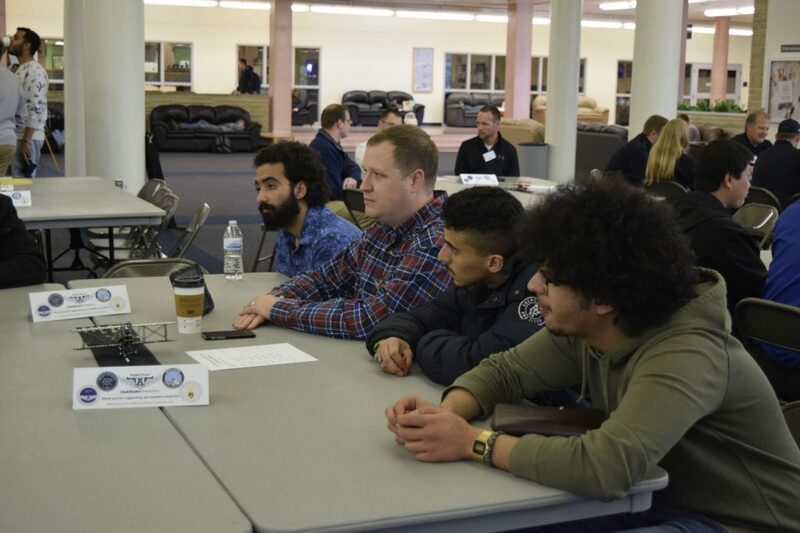 Utah State University’s aviation technology program offers Bachelor of Science degrees in professional piloting and aircraft maintenance management. More information is available at <a href=”https://aste.usu.edu/aviation/”>www. aste.usu.edu/aviation</a>. 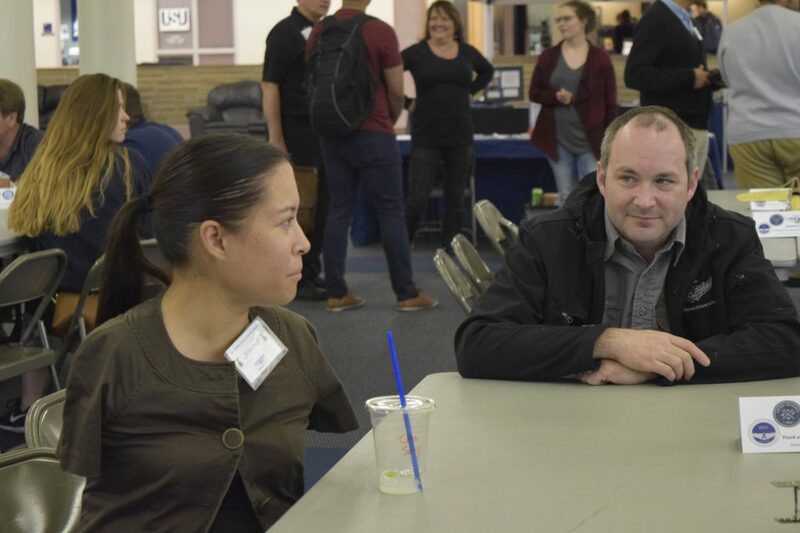 Jessica Cox, the first armless person in aviation history to become certified as a pilot, attends a workshop at the Aggie Aviation Career Conference.